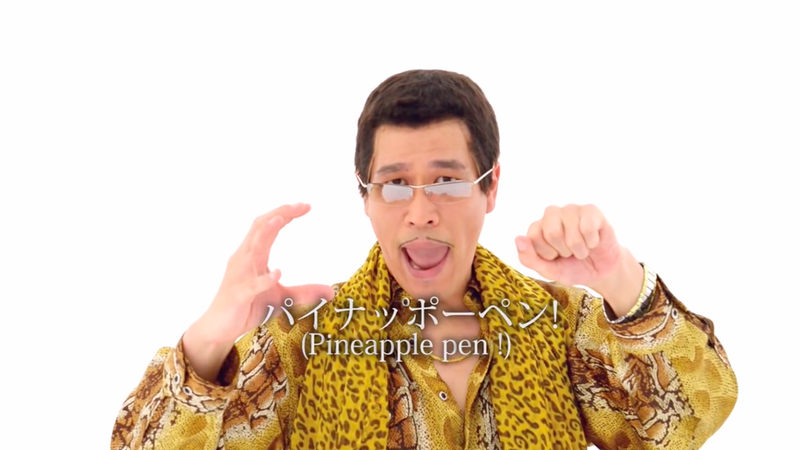 Looks like we now have a new "Gangnam Style" and "Gwiyomi" in the latest viral YouTube music video that is taking the internet by storm called "Pen Pineapple Apple Pen." If you have been on the social media sites like Facebook and Twitter, you have most likely seen or watched this new music video created by a Japanese YouTuber, comedian and song writer named Piko-Taro. Piko-Taro created this song and posted a video on his YouTube channel about a month ago and it is just now that it's making round on the internet after famous Japanese internet celebrities started doing their cover versions. Now that it has reached the digital country of the Philippines, it is now "the god" meaning you can just hear or watch it from almost anywhere online intentionally or not. So if you have not seen it yet and somehow interested as to what's with this Pen-Pineapple-Apple-Pen viral song, watch it below. If you want to see some clips of this PPAP song covered by different YouTubers, simply go to YouTube and search for the song and "LSS-ing" to it.